Last week was a fantastic one for us at Ski Famille. 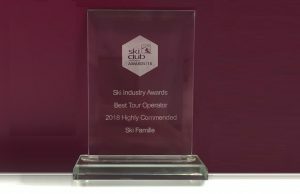 Our resorts have started experiencing initial snowfall, and if that wasn’t enough, we also picked up an award at the Ski Club of Great Britain Awards 2018! survey. Over 23,000 snowsports enthusiasts across the UK completed the survey, making it the largest of its kind. “It is fantastic that the information we gather from over 23,000 snowsports enthusiasts in the consumer research allows us to recognise those resorts and companies that do an outstanding job of giving their customers excellent service”. We received a Net Promoter Score (NPS) of 61. The score is calculated by asking guests how likely you are to recommend Ski Famille to a friend or colleague (on a scale of 0 to 10). A score over 50 is considered ‘excellent’. Our score of 61 gives a very strong indication of how highly our guests view us as a tour operator. The score is a testament to the hard work of our team who aim to ensure each family that travels with us receives the best service possible. Thank you to all of our guests who took part in the survey and thought so highly of us! Who is the Ski Club of Great Britain? The Ski Club of Great Britain is a not-for-profit snowsports club which helps members get the most out of their snowsports experience. With around 28,000 members, the club provide access to industry-leading snow reports and information on all things wintersports-related. A sincere thank you to everyone who completed the survey and rated us so highly, we’ll do everything we can to continue to provide the same high level of service over the coming winter and beyond. What Else Have We Won? This skiing-focused award adds to our growing collection of achievements. 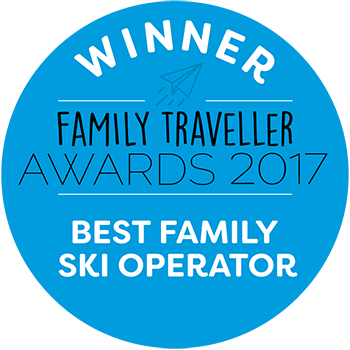 This skiing-focused award nicely complements our list of more family-focused awards (such as winning the Best Family Ski Operator Award at the Family Traveller Awards 2017, Best Family Ski Company at the Angels & Urchins Awards 2018 and Best Family Holiday at the MadeForMums Awards 2018). 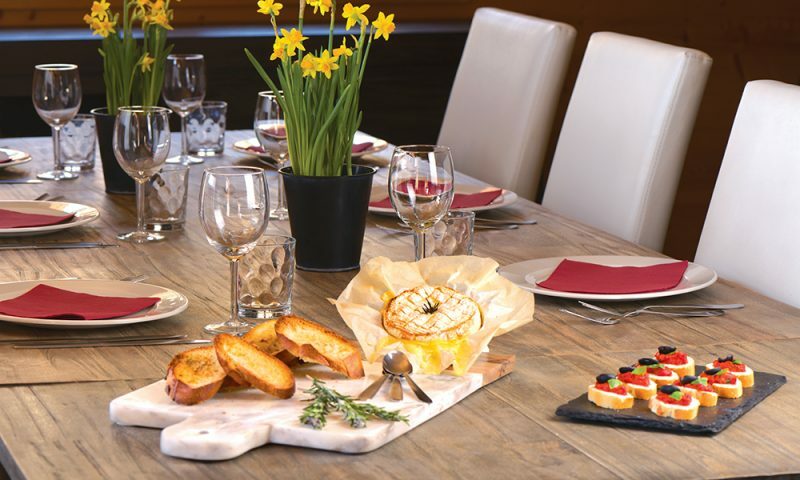 Our focus remains on catering to the needs of families, whether you choose to spend your time on the slopes or simply enjoying the chalet and mountain-experience. To discover our award-winning service for yourself, call us on 01252 365 495.